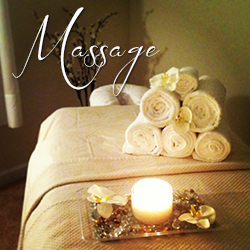 Whether you are looking to relax, de-stress, and rejuvenate or to find pain relief by focusing on specific muscular problem areas of your body, Sublime’s licensed massage therapists strive to provide a healing experience that caters to your individual needs. We're not your cookie cutter chain massage place! Our massage therapists will consult with you to develop an individualized treatment plan, utilizing various eastern and western massage modalities and techniques, which allow your body to heal naturally and return to a state of increased function and balance with sustained health benefits. Swedish massage is based on the five strokes of Western massage: effleurage, petrissage, friction, percussion and vibration. It completely relaxes the body and increases the circulation of blood and lymph throughout your body, increasing the oxygen flow to the muscles, joints and cells. Toxins are flushed from your body. The benefits of this type of bodywork are wide-ranging and include relief from aches and pains, decreased stress levels in the body, enhanced mental clarity, and greater flexibility. The goal of deep tissue massage is to realign the deeper layers of muscle and connective tissue. It works to restore function and balance to muscles, joints and fascia (the tissue that connects skin and muscles, organs, bones and vessels). It is especially helpful for chronic aches and pains and contracted areas such as stiff neck and upper back, lower back pain, leg muscle tightness, and sore shoulders. Trigger points typically send their pain to some other place in the body, which is why conventional treatments for pain so often fail. A trigger point in the back, for example, may send referral pain to the neck, which might also cause pain in the head. Through cycles of isolated pressure and release, trigger point massage therapy alleviates the source of the pain, releasing constricted areas in the muscles. You can experience a significant decrease in pain after just one treatment and receiving trigger point massage therapy on a regular basis can help to manage chronic pain issues. Myofascial release therapy: (also known as myofascial trigger point therapy) is a type of safe, low load stretch and massage therapy that works the broader network of muscles that might be causing your pain. It will reduce tension throughout your body by releasing trigger points across a broad section of your muscular system. It releases the fascia to restore the flow of nutrients into the cells and increase range of motion. Our therapists will use various techniques that include holds, finger pressure, kneading, rotation and rubbing. The theory behind reflexology is that these reflex points relate to specific organs and glands in the body, and stimulating those points with finger pressure promotes health in those organs and glands via the body's energetic pathways. The flow of energy is restored throughout the body and tension is released. Sports massage is specifically designed for people who are involved in physical activity. But you don't have to be a professional athlete to have one - it's also used by people who are active, work out often, or the weekend jogger. The focus isn't on relaxation but on preventing and treating injury and enhancing athletic performance. Combinations of techniques are used, including facilitated stretching to help loosen overused muscles and increase flexibility. Smooth water-heated basalt stones are placed on specific points on the body to warm and loosen tight muscles and balance energy centers in the body. It is amazingly relaxing! The massage therapist may also hold stones and apply gentle pressure with them. Hot stone massage is great for those who have muscle tension but prefer lighter massage. Pregnancy massage (or called Pre-Natal Massage) is a massage therapy specifically tailored for the expectant mother's needs. Pregnancy massage has been found to reduce stress, decrease edema (swelling) in the arms and legs, and relieve aches and pains in muscles and weight-bearing joints. In addition, pre-natal massage encourages blood and lymph circulation which naturally helps to relax nervous tension, aids in better sleep, and can help relieve anxiety caused by hormonal changes. Fibromyalgia is associated with widespread chronic pain, fatigue, and cognitive problems. Fibromyalgia massage treatment can build strength, reduce heart rate, relax muscles, improve range of motion in joints and increase production of the body's natural painkillers. Because fibromyalgia causes pain and sensitivity, we use a very gentle touch during your session. Cranial Sacral massage therapy uses gentle techniques addressing the bones of the head, spinal column and sacrum in order to release compression and give effective relief for headaches, TMJD ( temporomandibular joint disorder), back and neck pain. Receptor techniques manipulate nerve receptors in joints, using enhancers and activators, to effectively relieve spasms and pain in the neck, head, and spine. Aromatherapy massage is massage therapy with the addition of one or more scented plant oils, called essential oils, to naturally enhance the benefits of massage by stimulating the senses and positively affecting the central nervous system. Our practitioners of energy work say there is a subtle human energy field which they can detect with their hands. By placing their hands on or over their subject, they are able to correct imbalances and unblock blocked energy. Reiki, Therapeutic Touch, Chakra Balancing, and Polarity Therapy are all various forms of energy work that we utilize. Cupping involves placing glass, bamboo or plastic jars on the skin and creating a vacuum by suctioning out the air. The underlying tissue is raised, or sucked, partway into the cup. The cups are either left there for a few minutes or moved around, based on your comfort level and your massage therapist's assessment of your problem areas. The purpose of cupping is to enhance circulation, help relieve pain, remove "heat" and pull out toxins that linger in your body's tissues.